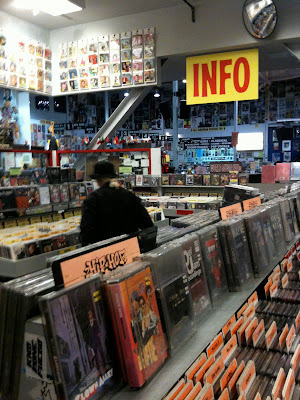 Stallion Alert - Record Collecting - Portland, OR: I Go Record Shopping at Amoeba Music in L.A. 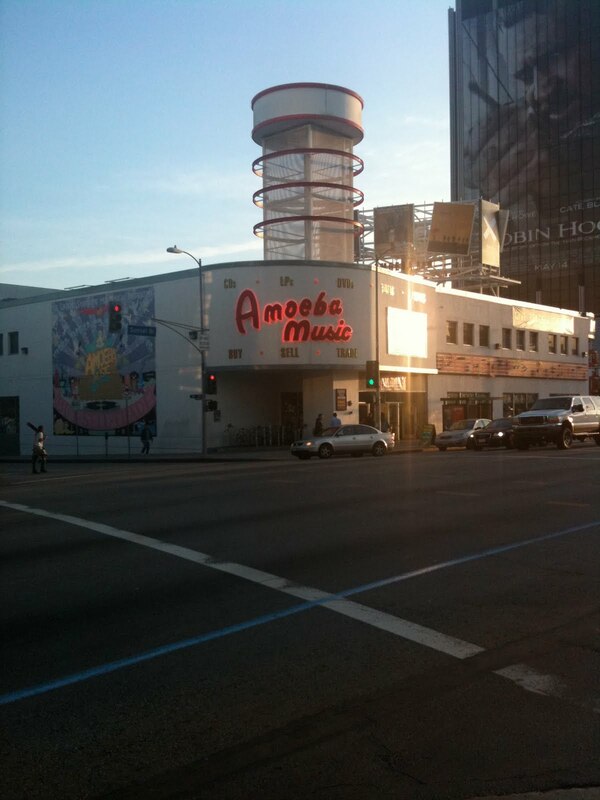 I so wish that we could have enjoyed that record store together. I'm jealous. That's awesome that your "Scars From Falling Down" LP is on blue vinyl. Mine is on clear yellow. The one on discogs is green. I wonder how many variations there are for chrissakes. Nice score on the 45s. The "Tragedy Ecstasy..." 2x45 has a different version of "Home Is A Rope" (I am pretty sure) and some non-album stuff. The Velvet Underground covers 45 is somewhat rough (shocking, I know). I'm jealous of that "Arizona Garbage Truck" 45. Mine is the picture disc version but I always wanted to get the other one too (found it once when I was broke and couldn't buy it. Thanks horrible world). If you ever want to get nerdy about SPBT I'm your man. Speaking of nerdy, nice work on the Unwound 45s. All the songs on the "You Bite My Tongue" 45 are taken from the self-titled album (the 45 was released a few years before the album). The lyrics etched in on side B are is a pretty sweet move. "Kandy Korn Rituals" and "Against" are also from the self-titled album but "Hating In D" is exclusive to the 45. The version of "Corpse Pose" on the 45 is different than the album version and is pretty sweet. "Everything Is Weird" is also 45 only. The "Negated" 45 is one of my favorite records they ever did. All 3 songs are exclusive to the 45 and the thing rips. "Said Serial" is one of my all-time favorite songs of theirs. It is noisy perfection. The instrumental "Census" rocks the same bass line as the later "Repetition" instrumental "Sensible." So there's that. I am so pissed at you for finding that "Ivy League College" 45 by J Church. It was that song that I heard on a compilation that made me get into the band. The b-side, "The Band You Love To Hate," is one of their best tunes. Its about the singer's experience touring with Beck. Also the "Sacrifice" 45 is one of their first releases so I am shocked you found that. Is it worth anything? It should be. Whose signature is missing from the Mudhoney 45? I have always been curious to hear what Rein Sanction sounds like. I remember always seeing their stuff in record bins back in the day and never having any interest in it. Not surprised that its crummy. I love 45s. Glad to hear your beefing up the collection. I got both of those J Church 45s for a dollar each. You can have 'em if you want 'em. I like the tunes, but you'd probably appreciate them more than I ever will. 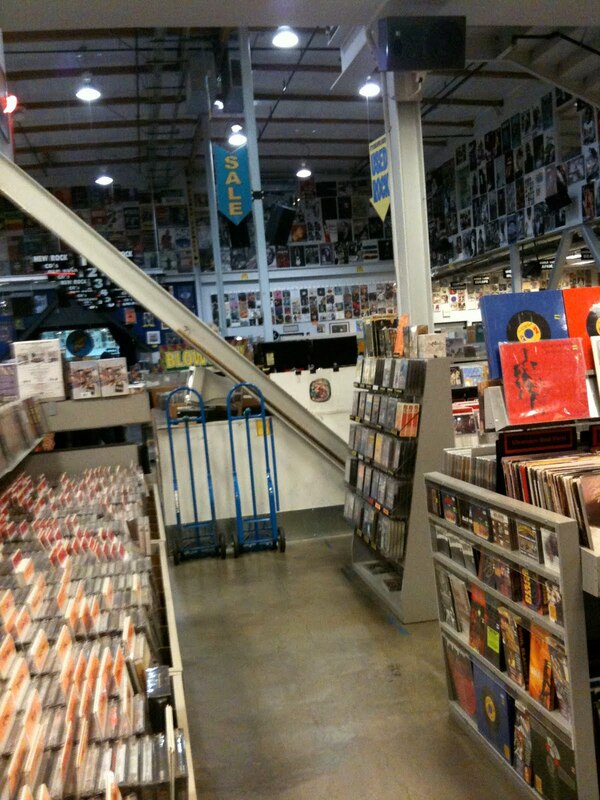 Seriously: we should plan a trip down there with the express purpose of going to this store. We could kill two days there easy. The 7" section alone would take 6 hours to really go through. Now we just need to save up like two grand apiece. Pretty sure it's Steve Turner who's missing from the Mudhoney single. "Dan Peters" is clearly legible, and both of the other ones seem to begin with M's, so that would make sense. But the signatures are scribbly. Lots of Steel Pole Bath Tub and Unwound for me right now. It's getting noisy.